A group of Kurdish political prisoners in the central prison of Urmiye have written open letter to president-elect Mr Hassan Rohani. 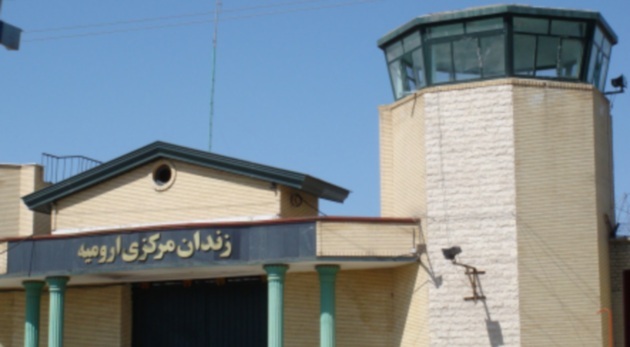 The prisoners stated that the aim of writing and publishing an open letter is to remind Mr Rohani of injustices unfairness that they as the prisoners of conscious experienced in the past years and present. Despite the Iranian presidential election procedural rules and the way the president is elected in Iran, based on our legitimate and inheritance right of freedom, we a group of Kurdish political prisoners in central prison of Urmiye decided to write our demands to the president-elect Mr Rohani reminding him of injustices, unfairness and oppression of the past years, aiming that he adopts new policies toward the deprived regions and consider it as an opportunity to solve the key issues. Iran is not restricted to the central zone of the country, or it is not adequate to limit the issues to the specific issues between ruling class or certain social groups. From Northwest to the Southwest of the country, people are systematically deprived of basic human needs. Remarkable historical events occurred in Iran which resulted did not result in solution of the major issues. Change of the regime from Monarch to the Islamic system of governance; however, have not brought welfare, economic and social developments to the deprived peoples and inhabitants of the Kurdish regions. Iranian people were viewing the 1979 revolution optimistically, however, instead of economic prosperity and social and political reformation; it brought more destruction to the people as a result of civil war and war with Iraq. The unrecoverable damages, ignorance among the people were left untouched and none of the subsequent regimes or the governments practically provided an appropriate mean of solution to the untouched issues. As a result of the governments failing to tackle the issue, Kurds lost their trust on government and subsequently the regime intensified its policing ruling over the Kurds. Up to now, the regime has not made real efforts to eliminate all kinds of religious, racial, cultural discrimination against Kurds. Regime constantly tried to influence Kurds and deceive them through a propagandas and fault slogans of self-importance. The Situation is very complicated in Urmiye in comparison to other Kurdish regions. The most dangerous form of nationalism exists in Urmiye, which consider the anti-Kurdish approach is the sole mean of its existence as a Pan-Turkism and Turanism. The anti-kurdish policies which were developed and implemented by SAVAK are still in operation, however, covered by Islamic mask. Once the Kurdish Liberation movement was in a process of re-surfacing in Turkey in 1970s, on boarder with Iranian boarders, the Turkish security forces infiltrated Urmiye province and from there the relation and cooperation between the Shah Security forces and Turkish security forces were intensified against the Kurds. During this period the anti-Kurdish policies applied publicly. Even though contextually the policies are developed and applied by the Islamic regime, indeed, these anti-Kurdish policies are Pan-Turkish policies in content. Systematically Kurds are deprived from official management positions in Urmiye province. One cannot consider exceptional circumstances or the presence of few Kurdish directors and manager in few provincial departments as a reflection of tolerance and recognition of the Kurdish right to hold public offices and manage their affairs. In fact, those Kurdish directors and managers have not got power to implement the right policies; rather they have been given that position just in order to deceive the Kurds in the province. Comparing the extent of the authority and power the Kurdish directors and public office holders have in policy making, with lower offices in the same department, we can view the real power is held by sub-organs of the department not by the executive committee of the department which in theory includes few Kurds. One cannot deny the role of the organs and departments that formulate and produces the anti-Kurdish policies in Urmiye province. Anti-Kurdish institutions in Urmiye province play a major role in all Kurdish regions and mostly the tactics and long term strategies which are implemented in all the Kurdish regions are the product of those institutions based in Urmiye. In our case as political prisoners whom have been imprisoned because of defending our Kurdish identity and existence, the situation is more tangible and clear. From the moment of arrest and during the detention and interrogation process whatever is consider against the human dignity by the universal standard were used against us, such as, inhuman degrading treatment, torture, verbal and varies physical insults and abuses. Holding individuals in inhuman atmosphere, depriving them of visit, telephone calls with the families and etc, is the worst form of torture that one could ever experience in his/her life. This process takes several weeks’ even months and then in a close and unfair process of hearing the judge will make his decision in the light of the information that has been extracted during the torture. Even though theoretically each of us have a lawyer to represent us in the Court, the lawyers are restricted from having an access to the information and evidences that have been made up by security departments against each prisoners. Therefore, lawyers cannot perform its task properly because the sentences are issued by the security departments and Courts only ratifying them and justifying the decisions made by the security departments. A large number of lawyers were threatened by the Security departments and given notice not to accept cases of political prisoners, even some of the lawyers whom refused to serve the notice were arrested by the security services or were obliged to flee the country and claim asylum abroad. Only retired judges or the lawyers who are loyal to the regime have the right to accept political cases. And these two groups are considered as complementary to the interrogation process. Some individuals have been executed or been indefinitely imprisoned because of their role and miss-representation either during the interrogation or hearing process. The retired judges who are appointed by the Security department to accept political cases, charge the family of the prisoners unbelievable fees, sometimes the families cannot afford the claimed fees and they have to sale their residential property or a something else. Fearing of being offended and publicly insulted by the corrupt officials of the Revolutionary Courts the prisoners family avoid referring to them to chase their children’s fate. All the sentences are delivered verbally, none of us has been informed about the decisions made by the courts in writing and this situation causes difficulties and is considered as a huge barrier in appeal process. Prisoners are informed verbally and appeal process requires a writing document which the political prisoners are intentionally deprived just in order to limit the appeal process and period. In addition to the procedural rules Islamic Revolutionary Courts are using as guidance in their decision process and several other internal departmental factors, it is possible to consider that the Islamic Revolutionary Courts is the most corrupt and brutal governmental institution in Iran. At all stages, it is our identity as Kurd “Kurdishness” that is detained, interrogated, and humiliated, not the alleged made up uncommitted crimes or alleged charges. Because of the high unemployment, the numbers of the crimes are dramatically increasing, which also as a result of it the prisons are overcrowded. Because of the overcrowding of the prisons there is no enough space to rest or sport facilities to exercise or enough food inside the prisons. Therefore, one could classify the regime’s prisons as a place of starvation to death. The false claims made by the authorities with regards to the rehabilitation and ethical courses run by the government inside the prisons are aimed to deceive the public. We as the prisoners confirm to the best of our knowledge that a professional or ethical courses are not run by the authorities, indeed, the regime’s prisons lack all required legal standards. From the moment of the imprisonment, prisoners experience unbelievable humiliation, aggressive behaviours, insulting and inhuman treatment from the authorities up to the moment the prisoners are released from the prison. Contrary to the authorities claim, drug is the most accessible substance that the prisoners have an access to it inside the prisons. The prison health clinic lacks necessary medications and staffs, instead illegal drugs are available as much as prisoner wants. Comparing to the different regions and provinces of Iran, in all prison facilities there is no single medical consultant or professionals. There are no enough medicines to cover prisoners need, and also the health care clinic lacks specific medicines which are used for the treatment of life threatening illnesses. The prisoners are mixed intentionally, criminals with political prisoners young, under age with adults, and it is noticeable that inside the prisons the young and under aged prisoners are sexually abused on regular bases. Protesting against the present situation is followed by heavy punishment. Prisoners whom are raising their voice against what is going on inside the prisons are punished inhumanely and brutally just in order to silence their voice. Prisoners who continuo protesting the atmosphere created by the regime systematically they will be sent back to the intelligence department detention centre or they will be transferred and exiled to the other regions of the country to serve their prison sentence. The Islamic regime using different brutal means to keep the prisoners silent, for example, fear, psychological pressure and sometimes the prisoners are rewarded for being silent. As a result of the brutal means and psychological torture of the prisoners on daily bases regimes influence among the prisoners broadening negatively. As a result of the present policies, breathing inside the prisons becomes difficult if not impossible. The prisons in Urmiye are run and managed by the most corrupt and savage officials. Based on the policies of divide and role, the prisoners are used against each other. In cooperation with the prison officers and guards, and a part from the drug distribution and smuggling of illegal substances into the prison through the network, the prison officials make human and unbelievable financial profits. In other words, one can claim that the prisoners are used as commodity or a trade object. The aforementioned issues mostly concern the political prisoners; the situation with regards the common crimes is most horrifying as the prisoners are treated as an object not human. In other words the prisoners are used by official and legal mafia managing and running the prison. We are addressing the Iranian president-elect Mr Rohani to form an independent panel and committee to investigate the concerned issues. We ask your excellency to give a preference to the Kurdish regions particularly issues surrounding the Kurdish people in Urmiye. The prison where we are serving our sentence is reflecting the political, social and economic situation of the Urmiye. After 35 years of the revolution we believe the Kurdish people still suffering from the pre-revolution problems, a people whom never accepted Monarchy rulings and the oppression of the pre-revolution regime deserve better living condition. Our concerns relate to the situation of the prisoners in Urmiye particularly central prison. Therefore, we ask your Excellency to form impartial committee consists of trustworthy individuals of the country to investigate the situation of the Kurds and political prisoners. And we also demand the result of the investigation to be published and be available to all public figures. We hope the new procedural rules and expected investigation modifies the administrative and judicial policies are implemented in Urmiye province. In addition to that, we are also expecting to stop arbitrary and unfair executions, which unfortunately a very high number of prisoners are executed in Urmiye prisons, as a result of unfair hearing and trial process, a trail when the decision passed the accused rights will be limited in appeal process. The unfair policies implemented in the Kurdish regions and against the Kurds created a huge gap between the governments and the Kurdish people and it is deepening every day. The current policies serve the Pan-Turks and Fascist policies of the Turks in the Province; fascist Turks have a long term plan and planning to separate the Urmiye province and the other regions from the Republic of Iran. The key cause of the issues is because of the gap that exists between the government and the people in general. The subsequent governments, instead of strengthening their position within their own people, unfortunately always have relied on foreigners with regards to the internal issues of the country. You have been elected as president of Iran by the Iranian people, including Kurds, and without their vote and support you would not have been able to become a president of the Iranian’s. Therefore, we are demanding your Excellency to take the issues seriously and listen to people’s concerns and also identify effective procedural rules and adopt new policies to solve the issue that all Iranian people, particularly the deprived regions of the Kurds suffering from. As a part of our inheritance right we are demanding your Excellency to release entire Kurdish and none Kurdish political prisoners and promote the freedom of speech and the right of association as it is the basic and fundamental rights of every one. We hope that your government will tackles the issues that concern entire the Iranian people not just a class of the society. In conclusion we are hope that the people will not regret electing you as their president.